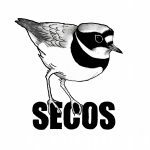 The Society was founded in 1964, its aim being “to promote and foster the study of ornithology by observation, research and record-keeping in order to add to the existing knowledge of this science both in S.E. Cheshire and in the world at large”. A rather grand aim but one that we have tried to adhere to ever since. At the time Sandbach Flashes was already an excellent site for birds, with Arnold Boyd and Frank Brown being frequent visitors making regular duck counts. They encouraged local birdwatchers to form the society and this was achieved principally through the efforts of Alan Goodin (Chairman) and Patrick Whalley (Recorder). A close relationship developed with the British Soda Co (later to become British Salt) who was the landowner at the time. The society has flourished ever since with a peak of 170 members in 1979/80 and a current membership of 130. In the early years the recording area covered all of South Cheshire but in 1978 this was split when Nantwich Natural History Society was formed, with the west of the area being ceded to them. This gave SECOS the area of Cheshire included in the 10km squares SJ74, 75, 76, 85 and 86, which it still covers today. The society seems to generate loyalty and long service amongst its members. John Barker, a founding member, has served as Chairman and in other official posts for 25 years and is still a member, as is Patrick Whalley, founding Recorder and Alan Goodin, founding Chairman, until his death in 2014. There have only been four Recorders in the Society’s 44 year history. Patrick Whalley for the first fifteen years, followed by Ted Lock and Andy Pay and since 1986 the responsibility for the Society’s ornithological records has rested in the capable hands of Colin Lythgoe, a total of 25 years. Many surveys have been carried out over the years and members participate in all relevant BTO and CAWOS surveys. We own a bird hide overlooking Rode Pool and members also have permission to visit Doddington Pools. Nest box schemes are managed at Quakers Coppice, Crewe and Rode Pool. Five books covering Sandbach Flashes have been produced and the SECOS Recorder has produced an annual bird report from 1986 until 2010 and still produces an annual newsletter ready for the start of the new season. For many years Bryan Perkins produced an interesting and informative monthly newsletter and following his retirement in 2016 John Thompson has taken on the task of editor. See our Publications pages. In the early days we met in the original St Peter’s Church Hall, a wooden hut at Elworth heated by overhead suspended electric fires, leading to baked heads and frozen feet! After a move to Sandbach Library we moved back to the current St Peter’s Church Hall, School Lane, Elworth. Sadly this was completely gutted by fire in February 2009 and we now meet at Ettiley Heath Church Community Centre; Elton Road, Ettiley Heath, Sandbach, CW11 3NE. An excellent venue. Indoor meetings are held on the second Friday of each month from September to April, starting at 7.30pm. Talks with slides, video and digital media are given by a variety of quality speakers on a wide range of subjects, with the AGM and Members’ Evening in April. Field meetings are held on one Sunday a month from September through to June and a long weekend meeting in March is very popular. More local field meetings are also held on the first Tuesday of each month and local evening walks in the summer.